It turns out Scott and some buddies were sleeping on Jennie’s college friend’s floor when she came over one morning, and as she walked through the living room she accidentally kicked Scott right in the head! She must’ve made quite the impression because when the two met again a couple years later, they were inseparable. Even though they agreed they didn’t want to do the whole long distance relationship thing while Scott went to work in Canada, the two talked about every day for the next six months until Scott finally decided to move back to the United States. They rest, they say, is history! “Usually the bride has a sweet, sentimental story to tell for the rest of her life about how her and the love of her life got engaged. Well, if you know anything about us, you know we are not sentimental nor mushy or lovey-dovey. Rightfully so, our proposal story is not either. 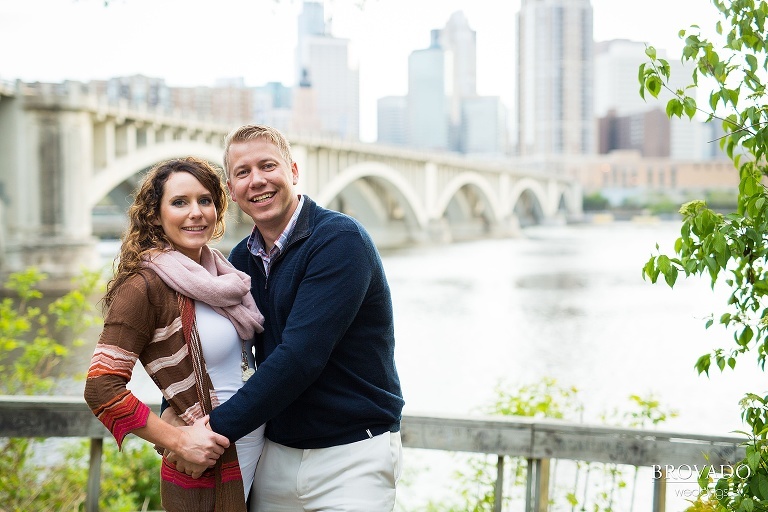 It all started when Scott and Jennie had decided 5 1/2 years of dating was enough and it was time to get married and keep sharing their lives together. It was mid July when Scott and Jennie were headed to Vancouver to celebrate Jennie’s birthday. They were sitting on the plane, enjoying a few Surly’s when Scott, with a big grin on his face, looked at Jennie and said, “I’m going to give you a ring when we’re in Vancouver!” He was just too excited to keep it a secret. Or at least, that’s what Jennie tells herself. “Yep, but your real ring is not ready yet, so I got you an eight dollar ring from Kohl’s!” Scott divulged. Jennie couldn’t stop laughing. Of course he did it that way! These two are a hoot! 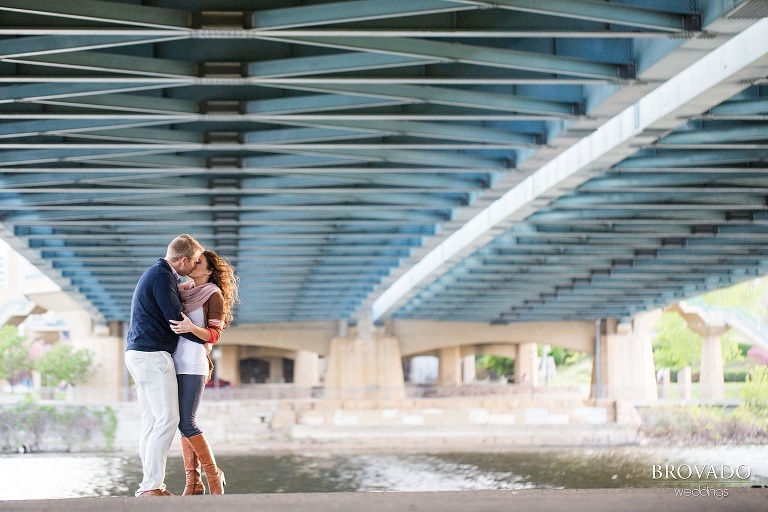 I loved getting to know them during their engagement photo session at Father Hennepin Park. We really hit it off, and I’m sure we’ll be friends for a long time to come! Congratulations Jennie and Scott! I can’t wait for your wedding in August!